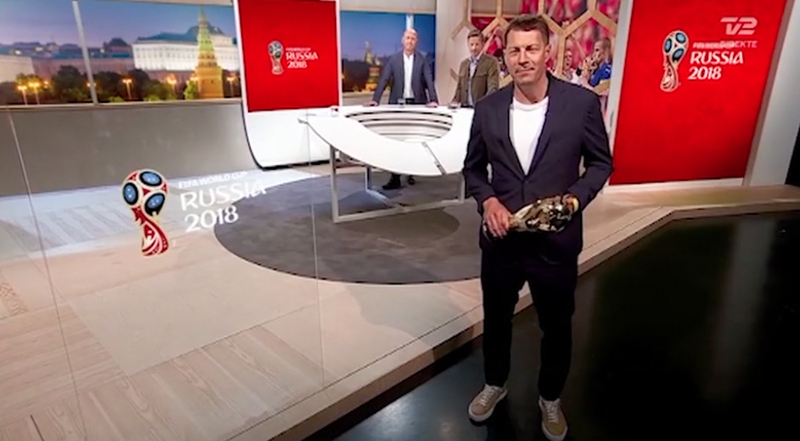 Denmark’s TV 2 is using a mix of hard set, virtual set extensions and augmented reality to create a dynamic, flexible and eye-catching look for its World Cup coverage. 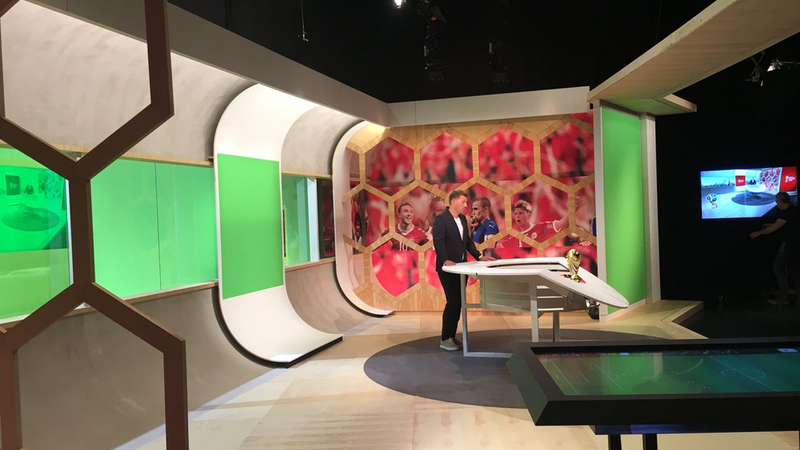 The basic framework of the network’s studio, which includes sleek curved elements and hexagons inspired by the pattern on European footballs, is real. However, the set includes multiple built-in green screen segments that are replaced digitally by virtual set extensions. 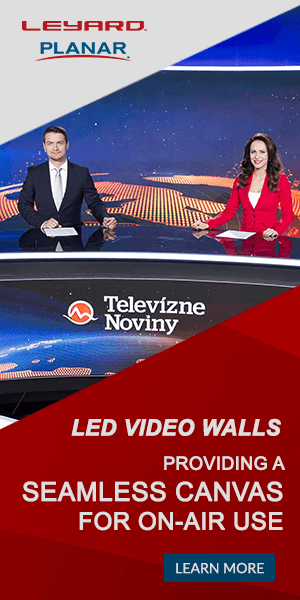 These extensions range from cityscape-style imagery in the “windows” that wrap around the space to two larger panels designed to mimic larger video walls. 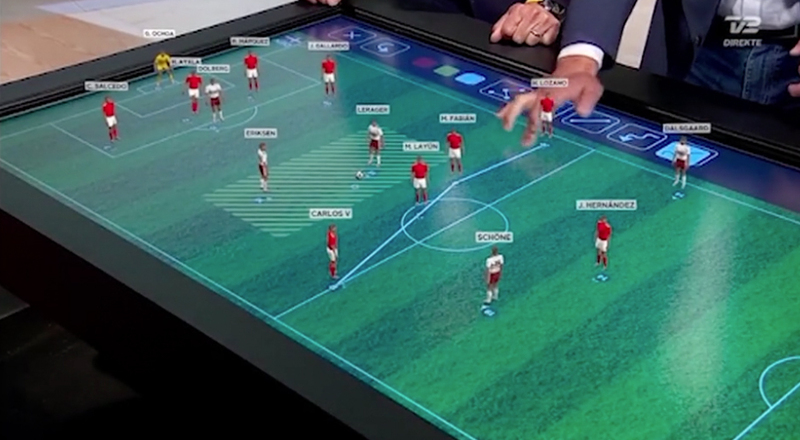 The studio also features a table created from a face-up touchscreen powered by Prometheus with augmented reality players inserted by Vizrt’s Viz Engine. This interactive table allows on-set commentators to showcase and breakdown key plays and strategy.